Salutations steeped in reverence, unhindered access to exclusive places, extra attention, and all round preferential treatment. That must have been the summary of what it was to be Evans (Chukwudubem Onwuamadike) prior to the tenth of June when the long arms of the law finally caught up with him. I also imagine that had he not been apprehended, his wife and kids would have celebrated him as the perfect husband and father to commemorate Fathers’ day last Sunday. By any standard, Evans isn’t a horrible looking man. A cursory look at him suggests an image of a gentle, responsible, law abiding member of the society. He lived in a high brow area of Lagos and must have commanded respect from his neighbours and associates. Anyone who had an idea of the kind of wealth he possessed or had visited his residence at any time would need no soothsayer to tell them he was a man of means. The average Nigerian who comes across Evans, his wife and their beautiful children would not think twice before muttering some prayers beseeching their own god to grant them the “blessings” of Evans as it has almost become customary for us. On social media we would tag them “goals” and tap into their luxurious lifestyle. Reports say Evans is only 36 years old. 36! And he already has two mansions in a Lagos and two others in Ghana. He is married, has kids and enjoyed the trappings of the good life- the idyllic life many can only dream of. Wives would compare their husbands to him if any argument relating to finances came up between the couple. Men would size Evans up and they would be intimidated and begin to seek ways to make it big, without having any inkling as to what their “role model” does for a living. Evans would visit banks and clubs, shove a few notes into the hands of the security men and bouncers and be welcomed with effusive salutes and praise. If he decides to report a poor man to the police, then such a one is likely to spend a considerable amount of time behind bars because he has the wherewithal to grease the palms of law enforcement officers until he is satisfied his offender has been dealt with sufficiently. Here, once a person has plenty of money, they are technically above the law. It’s a reflection of the kind of people we are and what we represent. We are the ones who camp in churches and mosques virtually throughout the week and act all pious and sanctimonious, yet the things we get up to in our closets are a stark contrast to what we claim to believe in. 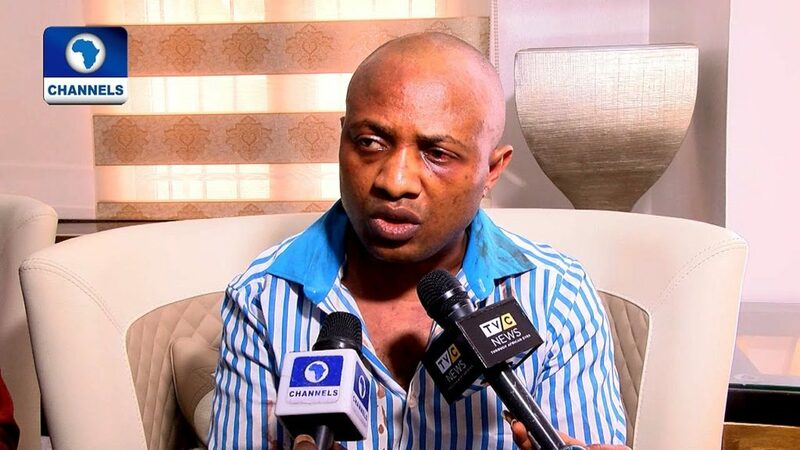 Many families were thrown into a state of despair and desperation while Evans and his goons reigned their terror. Even If one were to play devil’s advocate and believe Mrs Onwuamadike’s claim that she was unaware of her husband’s evil vocation, it still doesn’t absolve her of the “crime” of negligence. As I far as I know, marriage should be a symbiotic relationship between a couple. If her husband has such stupendous wealth and she was never curious enough to find out the source then she deserves to get whatever’s coming to her now. We should learn to ask questions. We should develop the habit of questioning things. It’s not enough to believe that God is the source when a person makes it big all of a sudden without any apparent source of income. Honesty, dignity in labour, transparency and justice should not merely be nomenclatures we reel out when talks drift to the issue of values. And as much as the case for imbibing these values starts from the home, the system and institutions contribute to the present rot in the society. When our police men who should be the first custodians of the law wave a “big man’s” car past while they conduct a stop and search on every other vehicle passing through, they are sending a subliminal message that the rich can do no wrong. When the most flamboyantly dressed are ushered to the reserved seats in front of the pews at our churches even though they came late, we are indirectly telling others that they will only get that kind of treatment if they manage to attain that level of affluence. Evans is the talk of the town now because of the magnitude of ransom he collected from his hapless victims, and the life of opulence he lived through kidnapping. Sooner than later, the present buzz will fade and the episode will be pushed to the recesses of our minds. And that exactly is my fear. What lessons are we taking away from Evan’s ignominious fall? Will we begin to treat people like individuals who deserve respect based on the premise that they are humans, or are we going to go on reserving our respect for the rich whose source of wealth no one can vouch for? It’s imperative that parents begin to inculcate the good old values of hard work and dignity in labour in their kids. These are the parameters that will determine if we have learnt anything from the story of Evans or if it’s only a matter of time before we discover multiple replicas of Evans. Another insightfully incisive commentary from Lolo. May your ink never run dry. Though Evans was rich,,I’m not sure he could flaunt the wealth that much because he would be attracting undue attention to himself due to the nature of his criminally sourced and mysterious wealth. No doubt due to the kind of society we live in he would have enjoyed the perks of being a big man in Nigeria. You couldn’t be more right, but like you i hope we never hear that Evans has suddenly regained freedom through some unscrupulous means. Thank you Ope. Hummm true talk lolo….i will say it will remain the same. I have no faith in Nigeria regarding this issue. Hey Lola! Damning verdict there. Thanks girlfriend.